Spring into Spring with new Duncan Hines Frosting Creations! There is just something about spring. The days are warmer. Everything is starting to bloom. And for some reason it makes me want to get into the kitchen and try something new. So when I had the opportunity to check out some of the newest creations from Duncan Hines and share it with you, I was excited. By now I am sure most of us have heard of the Duncan Hines Frosting Creations. 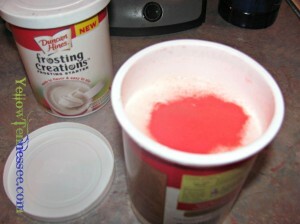 They are this amazing container of plain frosting and these little packets of powder that you can add to the frosting. Mix it up and suddenly the icing is transformed into these amazing flavors. Duncan Hines is celebrating spring with 4 new limited edition flavors in stores now. You can try Fruit Punch, Key Lime, Peaches and Crème and Pink Lemonade. Yum. We tried the Pink Lemonade with Strawberry cake. First up I made Strawberry cupcakes. After they had cooled, I added my Pink Lemonade mix to the frosting. Mix it all together and we had amazing frosting. It was a beautiful shade of pink and tasted just like pink lemonade. It was sweet with just the slightest amount of tang. The end result was perfection. I have never seen cupcakes disappear faster than these did. Everyone loved them. And I loved that they tasted like spring! But maybe Pink Lemonade is not your thing. Duncan Hines has created a site full of all kinds of amazing recipes. 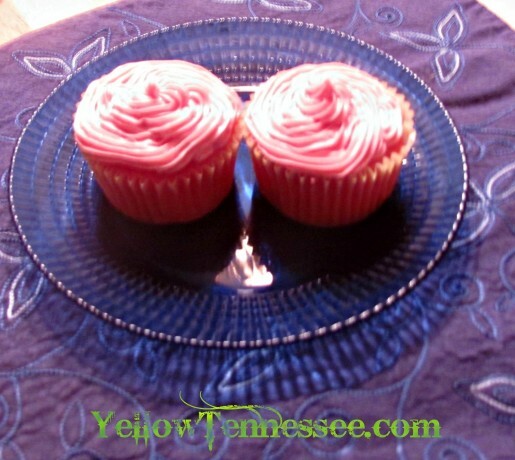 Maybe you would prefer an Orange Creme Blueberry cake, or Cotton Candy Cupcakes, or these adorable Bubble Gum Cupcakes. I even bought some of the Chocolate Marshmallow flavor mix and I cannot wait to try my hand at a S’mores type cake! Thanks to Duncan Hines, it just got a whole lot easier. What is your favorite Duncan Hines Flavor Creation Mix?